PJM opened its annual capacity auction yesterday, with bids and offers accepted through Friday, May 17. Results of the Reliability Pricing Model auction, which seeks resources for the 2016-2017 planning year, will be posted after 4 p.m. May 24. Clearing prices in last year’s Base Residual Auction, for 2015-2016, ranged from a low of $136/MW-day in APS to a high of $357 in ATSI. 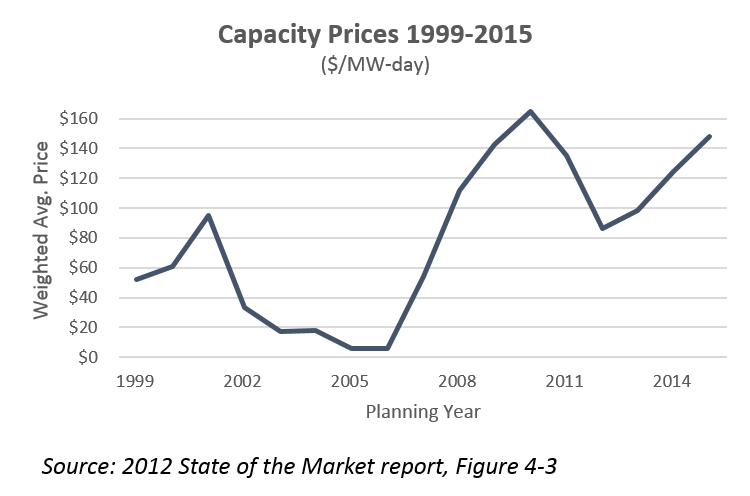 The weighted average cost was $148.33/MW-day, up 19% over the prior year. Wherever prices clear in this year’s auction, they will not be the result of a competitive market. Transmission congestion, combined with concentrated generation ownership and inelastic demand means the market “is unlikely ever to approach a competitive market structure in the absence of a substantial and unlikely structural change that results in much more diversity of ownership,” the Market Monitor wrote in the 2012 State of the Market Report. For almost all auctions held since 2007, the PJM region failed the Three Pivotal Supplier Test (TPS). Any supplier that owns more capacity than the difference between supply and demand is pivotal: that is, has market power. Market power mitigation is applied when a capacity market seller fails the market power test, the sell offer exceeds the defined offer cap, and the submitted offer would otherwise increase the market clearing price. 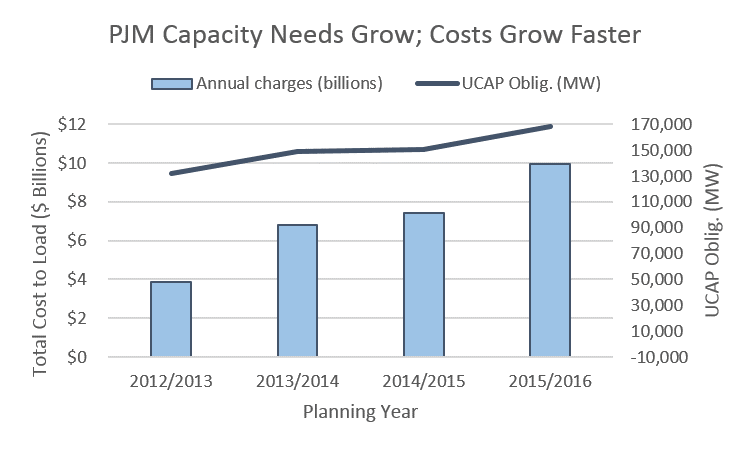 PJM’s total capacity costs for have nearly tripled over the last four auctions — to nearly $10 billion for 2015-16 — while capacity obligations have more than doubled. The increase in capacity needs reflect the integration of the Duke Energy Ohio and Kentucky (DEOK) and American Transmission Systems, Inc. (ATSI) zones and the addition of the Duquesne zone. This year’s auction will see an additional increase in capacity needs, following the addition of the East Kentucky Power Cooperative. 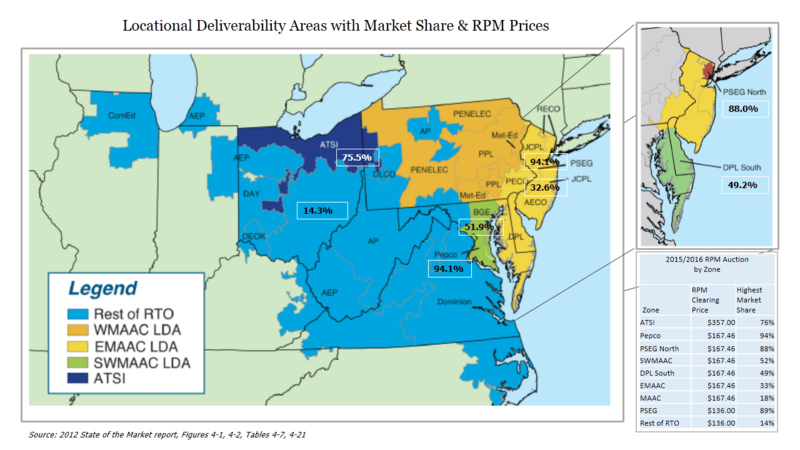 PJM's Base Residual Auction for 2018/19 will be the first under the new Capacity Performance rules approved by FERC in June. None of the 10,017 MW of additional capacity committed in the 2017/18 transition auction will be calculated in this week’s incremental auction for the delivery year, PJM said. The 2014/2015 2nd PJM incremental auction opened yesterday and will run thru 5 pm 7/19. 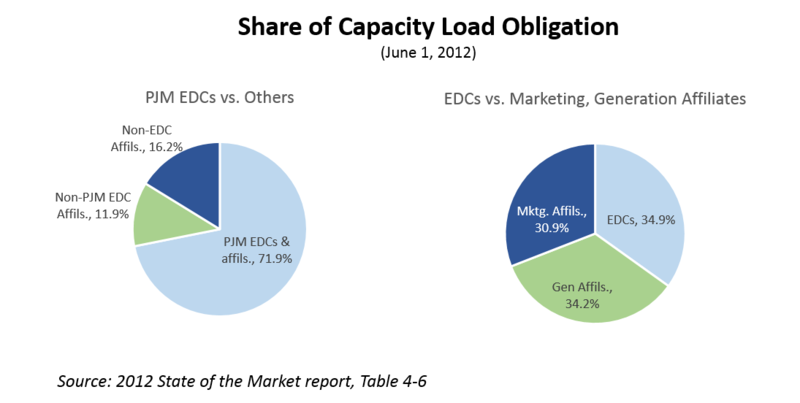 Existing PJM generators with available capacity are required to participate.